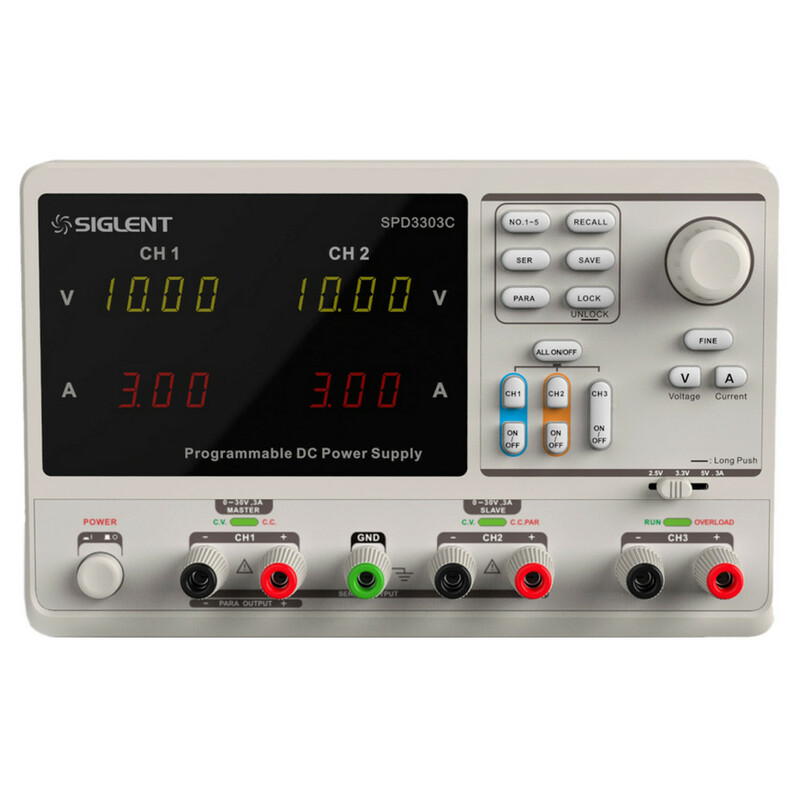 The SPD3303C is a LED display programmable linear DC power supply that is both lightweight and feature packed. It has three independent outputs: two sets of adjustable voltage and a fixed set of selectable voltages; 2.5V, 3.3V, and 5V. In addition, the DPC3303C has outputs that are short-circuit and overload protected. Total power is 220W. It has three available operation modes; independent, series and parallel modes. 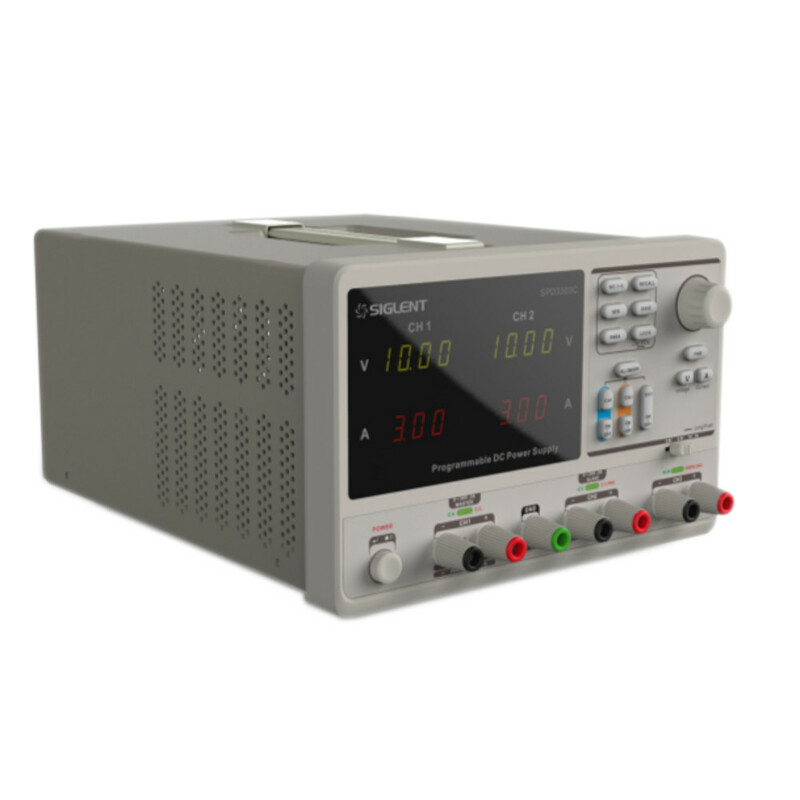 The SPD3300C has a high performance-to-price ratio and can be used in various types of production, education and research environments.